Glow-in-the-dark roads show a glimpse of the innovative ways designers are imagining the future of urban transport. Photo by Reggie Wan/Flickr. Imagine what roads might look like in the future. Possibly roads will be able to tell drivers when they might be slippery via markings that appear when it is cold out, or, roads might automatically turn off street lights when no cars are around. Maybe there are electric vehicle priority lanes that charge vehicles while they are being driven. Perhaps, there will even be roads that glow in the dark. These futuristic roads are exactly what one design firm in the Netherlands is trying to create. Studio Roosegarde has set out to revolutionize roadways and make them more interactive, safer, and more sustainable, at the same time as just looking downright cool. Roosegarde came up with the specific concept of glow-in-the-dark roads back in 2012, but it wasn’t until collaborating with road construction company Heijmans that they were able to turn this idea into a reality. Earlier this month, the company deployed their glow-in-the-dark road markings on a 500 meter (1,640 foot) stretch of road in the town of Oss in the Netherlands. How do glow-in-the-dark roads work? The markings are made of a solar absorbing luminescent paint that charges all day in the sun and then glows for about eight hours once it gets dark. While the markings do look like something out of an ominous science fiction movie, they are definitely more eye-catching than reflectors. These markings have the capability to make roads safer, while eliminating the need for street lights in some areas, also reducing energy use. Studio Roosegarde has ambitious plans to develop roadways for electric vehicles that can charge them while they are driving. Photo by Studio Roosegarde/Flickr. This pilot project will help Studio Roosegarde work out some of the flaws and test the durability of their design, but they are already looking to expand internationally later this year. Other countries are eager to see finished products, as they see the cost savings that this technology can bring them. This is part of the beauty of Roosegarde’s creations – even as they are pushing our conception of what a road can do into the future, they are doing this in a way radically different from auto-makers, who are putting ever more expensive flat screens and sensors into cars. Roosegarde is using paints that are cheap enough to manufacture and easy enough to use that the technology that can easily be adapted for emerging economies and quickly placed over existing infrastructure. Studio Roosegarde also plans on developing a similar technology with paint that begins to glow once temperatures drop below a certain level. If painted on roadways in the shapes of snow flakes, the paint would alert drivers to the possibility of ice in an aesthetically pleasing way. 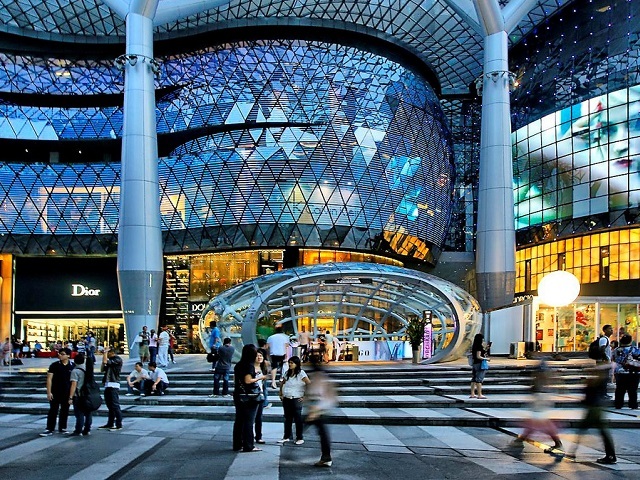 In many cities, people are constantly bombarded by so many signs that their attention is divided, and they are likely to miss an important sign. By creating roadways that begin to present people with clear signs only when they need them, people can get back to concentrating on the important things – like the road. 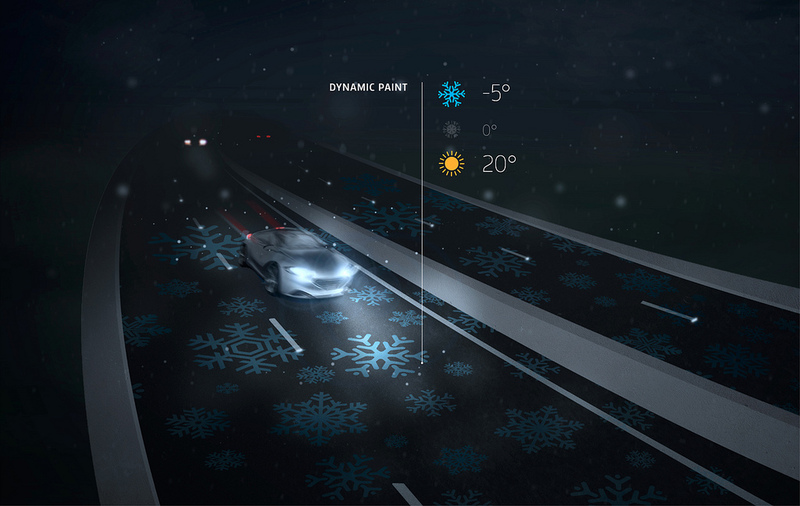 Studio Roosegarde has developed paint for roadways that only appears when the temperature drops below freezing so drivers are aware that the road might be slippery. Photo by Studio Roosegarde/Flickr. While there is still a long way before glow-in-the-dark road markings and interactive road symbols become standard around the globe, it is still fun to have a glimpse into the future, a future which looks to be more sustainable, easier to navigate, more interactive, and beautiful to behold. 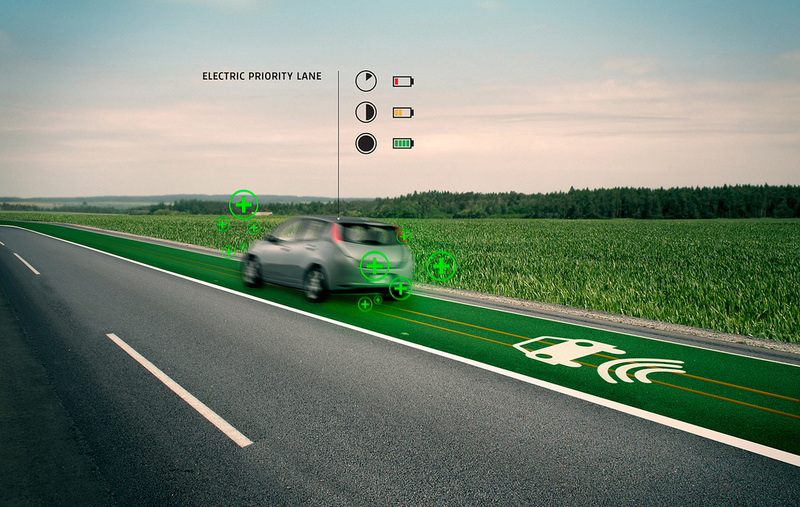 Learn more about Roosegarde’s work on smart highways here, or let us know in the comment section what you envision tomorrow’s roads will look like! UPDATE: the first stretch of these glow-in-the-dark roads have opened in Noord-Brabant in the Netherlands.